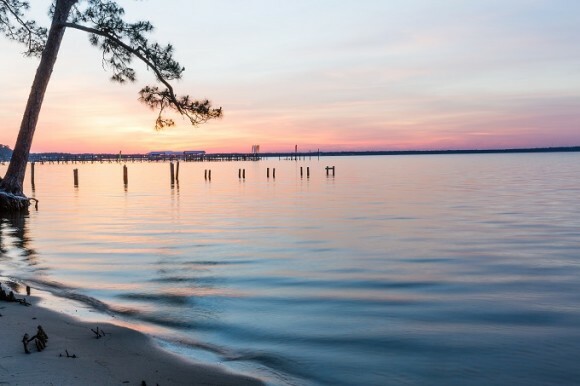 Located on beautiful Wolf Bay, our park includes a 400-foot fishing pier, picnic shelters with grills, paved walking paths, and a lighted kid’s park. We are open to the public year-round. Many times, Waterfront Park is used as a venue for events and special celebrations such as weddings and birthday parties. Because it’s a public facility, the park cannot be reserved but we ask that you call ahead of your event. Pets must be on a leash and cleaned up after.